Working with trees can be dangerous. 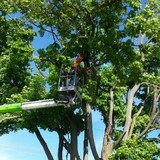 All tree work should only be done by those educated, trained, insured and equipped to work safely with trees. 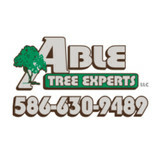 Why Hire a Certified Arborist for your Tree Services? 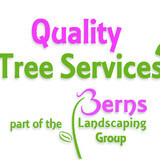 An arborist is a specialist in the care of trees. Arborists are knowledgeable about your needs, trained and equipped to provide proper tree care. Hiring an arborist is an investment leading to positive returns, improving the value of your property. Hiring an arborist will decrease your liability to dangerous situations that you have no experience in, and prevent damage to your property and surroundings, or to your neighbors property. 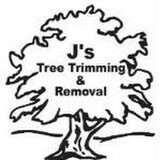 JandJ Tree Service is insured! Arborists are experienced working around dangerous hydro lines. Don't risk your safety or that of your family and neighbors. Your Rochester, MI tree service professional or arborist might work in conjunction with another landscape professional to create a seamless landscape design. Here are some related professionals and vendors to complement the work of tree services: Landscape Contractors, Landscape Architects & Landscape Designers, Garden & Landscape Supplies. Find tree service professionals on Houzz. Look in the Professionals section under Rochester, MI tree services. You can look through portfolios and read reviews to see what past tree care clients have to say.